Winter is here! Rather than dreading the winter weather that can wreck our facility floors, taking a proactive approach and preparing for inevitable salt and calcium stains can go a long way in facilitating the cleaning process. To combat the build-up of salt and calcium during the winter months, implement a floor care program that focuses on deep cleaning, protecting, and maintaining floor surfaces. According to OSH (Occupational Health and Safety), in Canada close to 60,000 workers get injured annually due to slip and falls accidents. Place wet floor signs as a precautionary safety measure. 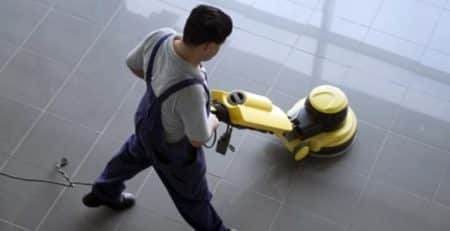 Change your floor cleaning solution more often to provide a better end result. Winter floor care takes more time and attention than any other season. By increasing floor maintenance programs as much as possible, during winter months, it will reduce the time needed to maintain floors, decrease labor costs and keep floors looking their best. Regular vacuuming can keep your carpet relatively dry and clean. When cleaning, use only non-toxic carpet cleaners and follow the manufacturer’s directions carefully. Allow carpet to dry fully after wet cleaning. According to the Canadian Lung Association, carpets act as a «sink» for chemical and biologic irritants. Carpets collect airborne pollutants and substances that may be tracked in from the outdoors. Keep carpets clean to maintain good indoor air quality. The winter months can introduce a lot of wear and tear to carpeting especially for those that get a lot of snow and inclement weather. Maintenance needs to include preventing damage and staining as well as regular deep cleaning to remove dirt and debris. Keep carpets and floors clean and dry during the winter months. Effectively removes heavy build-up of salt and calcium deposits on floors and carpets. 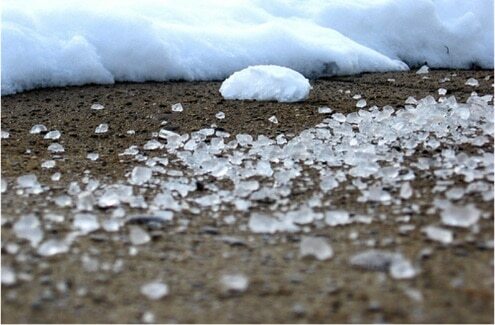 Eliminate the salt and calcium from your floors to avoid surface damage. Focus on cleaning entryways to eliminate the main source of dirt. Add appropriate matting to entrances to help trap debris. According to distributors, a neutral floor cleaner designed to work against ice melt residue is the best line of defense in maintaining shine during winter weather. Though calcium pellets are an effective and relatively environmentally preferable method of melting snow and preventing dangerous ice build-up, the resulting deposits damages and clings to boots which then result in streaked flooring. 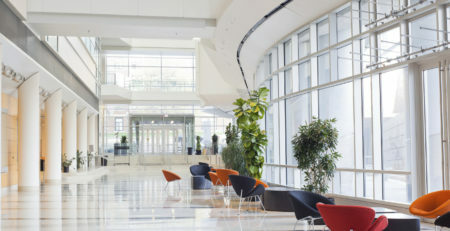 The tarnished appearance of the floor can have a negative impact on customer experience as they enter the building and observe a first impression of the indoor environment of your facility. Though they look easy to remove, knowing which solutions and how to remove salt and calcium from the floor will contribute to the longevity of your facility and a more efficient floor maintenance program. Calcium attracts water which can be damaging to the floor finish and contribute to a slippery floor. Using a neutralizer to counteract alkaline residue will help with the removal of salt and calcium deposits not only on most flooring but also on carpeted areas. A strong and effective neutralizing solution penetrates and suspends dirt and residue in order to lift it to the surface for easy neutralization and removal. Knowing what neutralizer or salt and calcium removal solution to use is dependent on your maintenance program and the type of flooring. 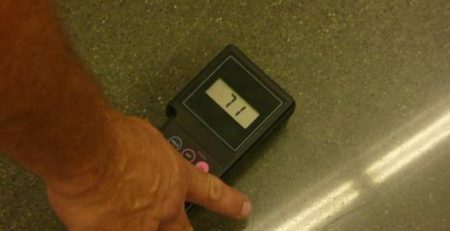 For example, certain neutralizing solutions are not recommended for use on polished marble and terrazzo floors – these should be cleaned with a neutral pH floor cleaner instead. Floor maintenance is costly for any facility. Always follow the manufacturer’s recommendations and ask for training. Select a supplier that is willing to take the time to train your staff and is available to help you, who can provide you with a personalized on-site demo and who can respond to customer inquiries within 24-hours. With proper training, your staff will know how to use the cleaning products and equipment in the most appropriate way to achieve the best results possible. Embrace the Winter months and integrate a floor care cleaning program that meets your business needs!